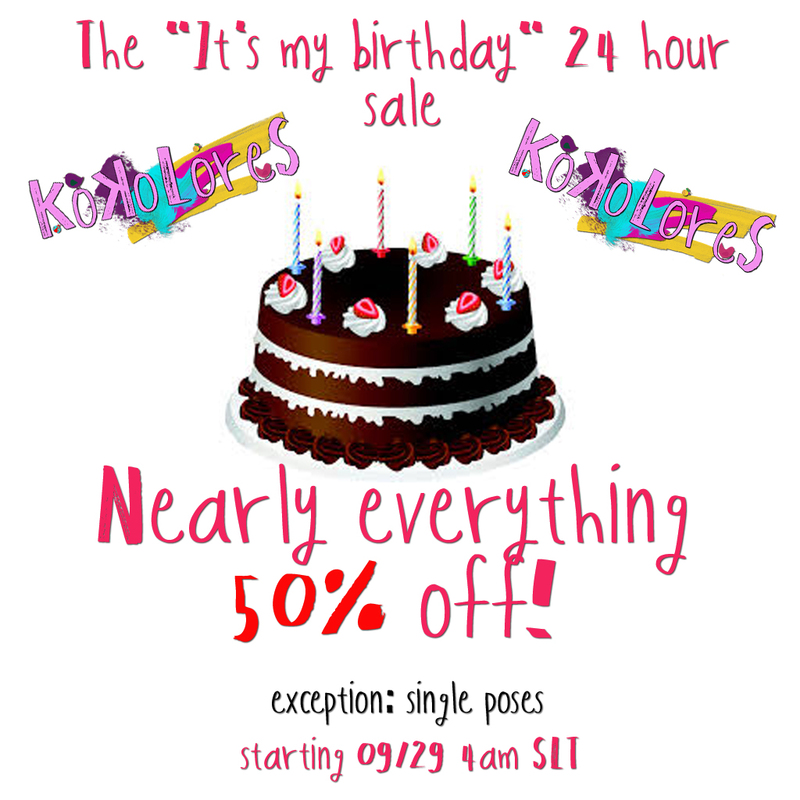 KoKoLoReS: 24 hours flash birthday sale! Previous post: KoKoLoReS: Two new hairs! Therefore, for the next 24 hours, everything in the mainstore (except single poses in the pose vendors) is 50% off! Starting at 4am SLT.